The only way to move forward in terms of family planning is to engage men in it. In a constitutionally Islamic country riddled with contrasts, far away from the welfare model, perpetually confused on nearly all critical issues ranging from foreign policy to population planning, infamous for low status of women and girls and their social exclusion, and characterised by the dramatic capture of power elites in politics and development fields both, one wonders — what does the male role or involvement in family planning mean to Pakistan? Male involvement in Family Planning (FP) includes, an interest of men in FP issues (indicated by their knowledge about it), a positive attitude towards it (indicated by their acceptance or approval), willingness to share responsibility for it (indicated by their actual adoption) and a willingness to share the power of decision making (indicated by them being prepared to discuss it with their spouses). 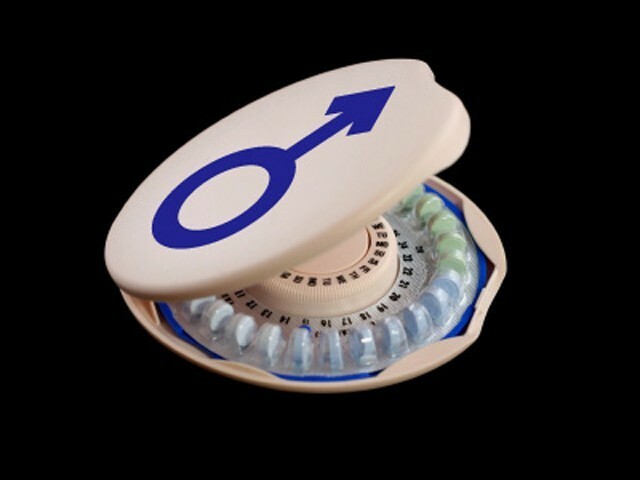 1) Expanding the range of contraceptive options. 2) Supporting women’s contraceptive use. 3) Preventing the spread of sexually transmitted infections. 4) Use the forum of reproductive health programmes to promote gender equality and the transformation of men’s and women’s social roles. One can argue with the effectiveness and/or legitimacy of the reasons as a justification for including men, but it remains a fact that the implications of male involvement are broader than are often noted. In developed countries, the efforts to involve men began as early as the late 1970s, with attempts to make women-oriented family planning clinics more inviting to men. In developing countries, the tendency has been to exclude men from reproductive health especially FP work, other than vasectomy or condom distribution. Ironically, condoms are mostly distributed to women in South Asia rather than to men who still find it the hard to shop for them. Pakistan, which is a signatory to nearly 12,000 international conventions and treaties, is also officially fully committed to the landmark International Conference on Population and Development’s (ICPD) Goals and Targets 1994, that called for an understanding of men’s and women’s joint responsibilities, so that they could become equal partners in public and private life, and to encourage and enable men to take responsibility for their sexual and reproductive behaviour. Pakistan’s Maternal and Child Health indicators remain extremely poor as 25,000 to 30,000 women die from complications of pregnancy and child birth every year. Millions more suffer ill health and disability. One million children die before the age of five while 16,000 die in the first month after birth. The health policy of 2009 by the Ministry of Health has clearly acknowledged that, in spite of some improvement since 1990, the health of the people of Pakistan lags far behind the rest of South Asia and the improvements have not kept up with the increasing GDP. The magnitude of fissures in our social development sectors makes Pakistan a model case for economic growth without development, with an under-performing health care delivery system too. Further, the socio-cultural determinants of health, such as illiteracy, unemployment, gender inequality, social exclusion, food insecurity, rapid urbanisation, environmental degradation, natural disasters and lack of access to safe water and sanitation, aggravate Pakistan’s poor health status. Though these problems are recognised by the public officials in health and population sectors, they are yet to be addressed through realistic budgetary allocations and people-centred policies. The performance indicators of the population programme, especially those in terms of strengthening family planning programmes to achieve its coverage and effectiveness and others relating to changing approach to delivering family planning services and improving the overall status of women and girls (irrespective of the lack of sharp focus on this particular dimension and adhocisms of such projects ) are dismal. Since ICPD 1994 till date, a number of public, private and voluntary sector initiatives have addressed the issue of male involvement in family planning and reproductive health in Pakistan, the sixth most populous country, and that too within the patriarchal society and bureaucratic apparatus that undoubtedly fosters gender biases at institutional level and consciously or unconsciously adheres to the theory and practice of social closures. Despite all odds and losses, the only option is to move forward and that can be effectively achieved only by engaging men (who, whether feminists like it or not, are decision makers both at the household and policy levels) in such a way as to create new heights of empowerment for women rather than dependencies. There are no short cuts or magical recipes. However, one starting point could be to popularise common knowledge or simple scientific doctrines that would ultimately lead to a transformation in the concept of hegemonic masculinity. If this begins to happen, our young women will not suffer because of the demand of sons, and may be many mothers in Pakistan would no more be punished physically and emotionally or both against the “crime” of giving birth to daughters. A civic entrepreneur and a non-elite gender activist. Mothers are instructed to feed their milk to new born till baby turned two years, so automatically the gap of 2 years is minimum,so a good muslim husband should try to grab this atleast. And its ALLAH who is (RAZIQ) and HE provides food to every living thing,but the point is the character building is parents duty and they should take enough time and space to build a good muslim pimarily,which eventually ll be a good citizen .